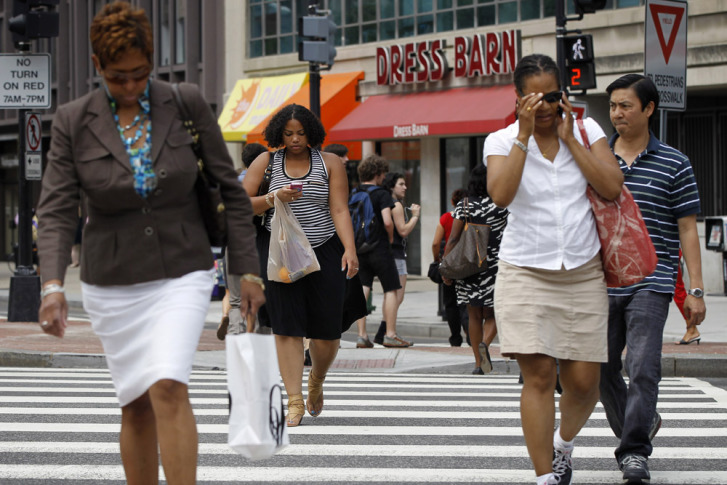 Author: "the fear of missing out"
WASHINGTON — Smartphone users are starting to fill up emergency rooms as distracted walking is to blame for everything from sprained ankles, broken bones and even deaths. A 2012 Pew Research Center survey found that 23 percent of cellphone owners have bumped into someone or something because they were distracted by what was on their phone. And 50 percent said they were knocked into by someone else who was using their phone and not paying attention. That’s causing us to walk into walls, off piers, into fountains, off curbs, into each other and onto busy streets. Last April, Liberty Mutual Insurance conducted a nationwide survey of more than 1,000 people and found 60 percent acknowledged they routinely read or send texts and emails, talk on their phone or listen to music while walking. Some 70 percent said they realize this behavior increases their chances of getting hit by a car. The solution? Rosen, whose next project is a book on distraction, says it’s complicated. We are all distracted as it is, but researchers are starting to find that smartphones, electronic communication and especially social media are far more distracting than anyone ever imagined.